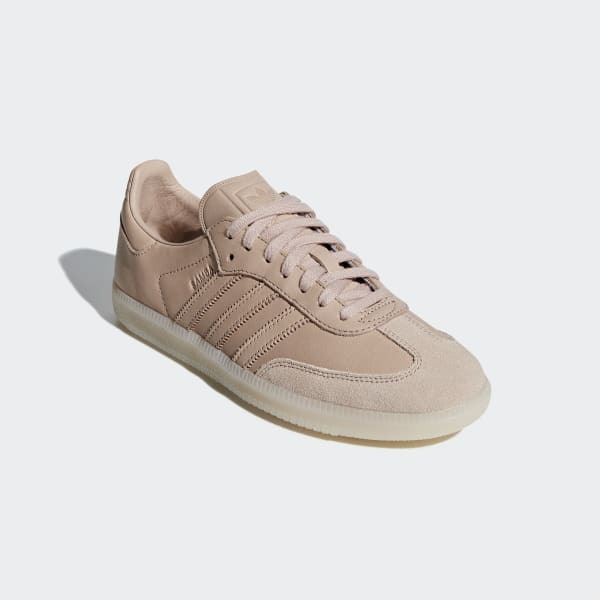 Sambas with a semi-translucent gum rubber outsole. adidas founder Adi Dassler designed the first Samba in 1950 to give footballers sure-footed support on icy turf. Since then, it's become a footwear icon, beloved for its low-profile style. These supple leather shoes add a fresh touch with a tonal design and milky-white gum rubber cupsole. A leather lining adds a luxe feel.